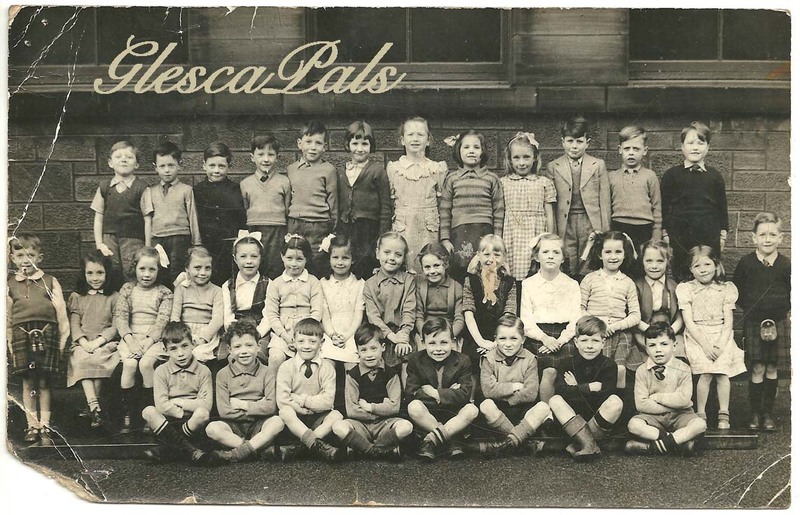 ........ enclosed old photo om class at London Road School, can't recall the date but I attended 1947 to 1953. Back then my name was Cathie Law and I lived in Springfield Road. We moved to Carntyne when I was 10yrs old but I continued to goto London Road School then onto Riverside Secondary School. I married in 1964 and moved to Rutherglen, had three children, moved to Irvine and been here ever since but still miss Glasgow. I was widowed in 2004 have five grandchildren and a great grandson! I have listed the names I can remember but not to good at putting them to faces, hopefully some GlescaPals will! .........London Road School picture 1949. I am 8th from the left looking at the picture in the back row, Cathie Keir.